Alina was born and raised in Saskatoon, Saskatchewan. To survive the harsh Canadian winters, she took to doodling funny animals on any available surface in her feeble attempts to stay warm. After high school, Alina took classical animation courses and went to the University of Saskatchewan in pursuit of her BFA (which remains uncompleted). She followed this up with a 3-D animation certificate, just for good measure. Alina is a firm believer in overkill. Over the years, Alina has lived in Alberta, Fiji, Arizona and China. She really gets around! At various times she has applied her talents as a web-designer, costume artist, art gallery director, graphic artist, and digital effects artist. Her talents can be viewed in such projects as Wapos Bay (a Gemini-Award-winning children’s animation show for Canadian television), and in her online webcomic, Weregeek. Alina is a proud member of Little Pine First Nation, a Cree Indian reservation in central Saskatchewan. She enjoys painting miniatures, reading comics (web or print! ), LARPing, designing elaborate costumes for LARPs, anime (Full Metal Alchemist, Cowboy Bebop, any of the works of Hayao Miyazaki), Mythbusters, various role-playing games (primarily Shadowrun, Unknown Armies and RIFTS), science fiction DVDs (Babylon 5, Firefly) and console video gaming (Katamari Damacy, God of War, Legend of Zelda). 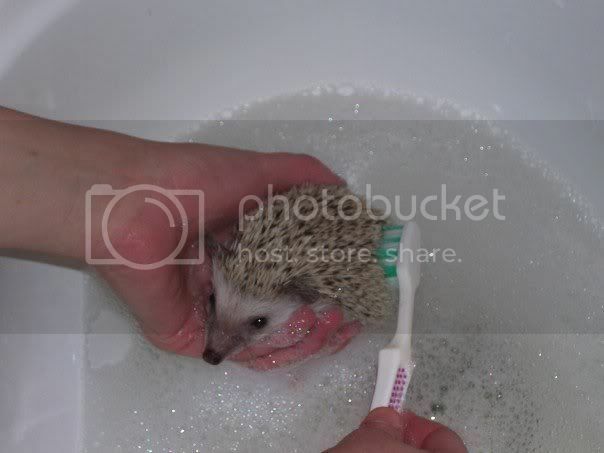 She has two siblings, a devoted boyfriend, and a pet hedgehog called Hazel. Layne holds an M.Sc. (Master of Science! Mwahaha!) in Cell Biology, and is currently working towards his PhD at the University of Alberta. He enjoys LARPing, webcomics, role-playing games (especially Shadowrun and RIFTS), miniatures battle games (Battletech, Warhammer 40K), the Food Network (Iron Chef rules), and committing acts of science. Todd is Layne’s older brother, who has generously volunteered his time and skills to put together the Weregeek website. Todd is a professional software developer with degrees in both Engineering and Computer Science. He is a co-founder of the Advantage Employment Co-operative, a Canadian business consulting company. Todd spends his free time showing off his l33t skillzorz in World of Warcraft and other PC games. He also enjoys reading webcomics (detect a theme, here? ), playing in the occasional LARP, Futurama, the Sci-Fi channel (especially Battlestar Galactica), and Hong Kong Action films.